Routine Shots: measles/mumps/rubella (MMR) vaccine, diphtheria/pertussis/tetanus (DPT) vaccine, poliovirus vaccine, etc. Hepatitis B -in case of exposure to blood or body fluids, have sexual contact with the local population, or be exposed through medical treatment (e.g., for an accident). Typhoid –in case of exposure through food or water in rural areas. Rabies –in case of exposure to animals. Regardless, check with your doctor a couple of weeks before you get on your flight. ***Update: Personally, the air is cleaner and fresher in the rural areas, but access to doctors and clinics is still limited outside the capitol. During the Black Friday sales, I grabbed a couple of extra SD cards and batteries from my two favorite stores, B &H Photos and Fry’s. After a week of waiting, these goodies finally arrived on my doorsteps today! They will be accompanying my Canon HFS200 on the trip with me. Memory cards and batteries are extremely expensive, but it’s worth investing if you are going to be going on a long trip or be away from the convenience of electricity (such as the rural remote Hmong villages of Laos like me). 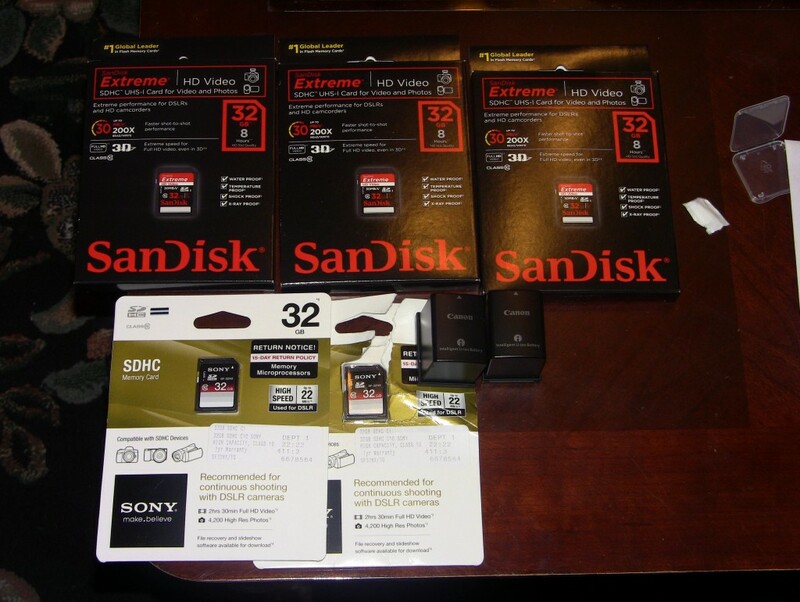 The goodies: 5 SD cards ( class 10 for recording HD Videos) and 2 extra batteries. One of the new thing I learned in the planning process for this trip is travel insurance. So what is it? Travel insurance covers the risks of traveling. Traveling risks can involve any issues from a trip cancellation to a lost luggage to a health and emergency evaluation, and even a death. Insurance coverage normally starts on the first day and ends on the last day of your trip. You can buy the insurance as soon as you booked your flight or wait until the night before the trip depending on the company you choose. 1. Do you even need insurance?